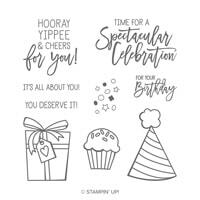 It’s April 15th and time to think about the next few months and all the exciting things that will be happening in my Stampin’ Up! world. It’s going to be busy!! 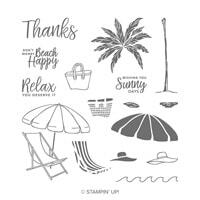 Two of Stampin’ Up’s catalogs are nearing the end….This is sad because lots of stamp sets, embellishments, papers and ribbons will be retiring on June 3rd…but also exciting because there will be a new Annual Catalog and LOTS of new items to purchase on June 4th! Four of these will be in new 2019-2020 Annual Catalog – Meant to Be, Piece of Cake, Fable Friends and Butterfly Gala. Now is the time to go through the 2018-2019 Annual Catalog too! If you don’t have a printed copy of that catalog, click HERE – 2018-2019 Annual Catalog to see it!. Selected items in that catalog will be retired on JUNE 3rd! Click on the following link to see the list of products retiring from the current annual catalog: RETIRING FROM THE 2018-2019 ANNUAL CATALOG. 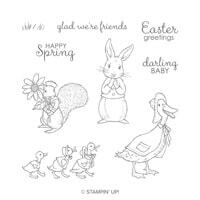 PLEASE NOTE: Retiring Stamp sets from both catalogs are guaranteed to be available up until May 24th. After May 24th stamp sets will only be available while supplies last. All other items that are retiring: Designer Series Paper, embellishments, ribbons, embossing folders, 2017-2018 In-Colors items (ink, ink refills, cardstock, markers, etc), framelit & die sets, punches, etc will only be available WHILE SUPPLIES LAST! Some items might be discounted if they have excess inventory beginning or after May 9th, but there is no guarantee that an item you want will be discounted. Also, if you purchase an item and it does appear on the discounted list, SU will not issue a refund. What you will NOT see in the new 2019-2020 Catalog that comes out June 4th is the Stampin’ Trimmer and the Big Shot or any of their accessories. I wrote about that Here in my Still Blooming with Happiness blog post. If you need those items or accessories, order them now! Beginning today, you can order up to 6 sets of replacement blades for the Paper Trimmer! 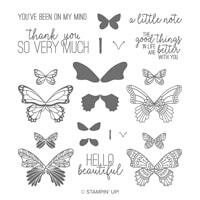 And even though Stampin’ Up has what they think is a 6 month supply, it’s only while supplies last! 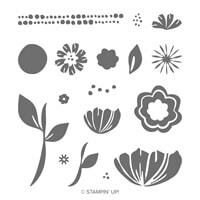 Stampin’ Up will be replacing the trimmer, but there is no set date (yet) of when it will be. If you have any questions, please comment below and I will respond as soon as possible. And one last note: I have seen and have in hand the NEW 2019-2020 catalog! I can’t show you the inside….but you can have a sneak peak at the cover….so you know just by looking at the cover what a few of the new products look like! Makes you want to see more doesn’t it??? I’ll be sharing some new cards and ideas using some of the new stamp sets and ink colors that are coming out in the next few weeks, as well as showing some of my favorite retiring stamp sets, so FOLLOW MY BLOG so you’ll be sure to see them! NEED TO PLACE AN ORDER? 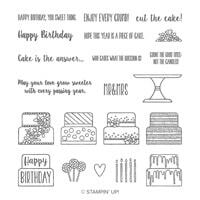 You can shop at my online Stampin’ Up! Store to buy all those retiring stamp sets, papers, embellishments and ribbons that you’ve been wanting. Just click on the link below and it will take you right there. I appreciate your business and thank you for choosing me to be your Stampin’ Up! Demonstrator! When ordering, please use the following HOST CODE: 3H7WQRHU when placing your order. If your order is more than $150, do not use the host code as you will receive your own stampin’ rewards (rewards begin at $15).